It seems as if this week has passed within the blink of an eye, especially since I had to catch up on so many things after coming back from Kansas. Thankfully there’s always food that’s worth posting about and workouts to share with you. Yeah, I always have something up my sleeeeve. 1) On the same day of our date night we had some business to take care of in the Rowland Heights area, so we decided to stick around the city of La Puente which is next door to RH. I mean, how could we not after the enticing Yelp reviews of Crazy Rock’n Sushi? This place is pretty legitimate when it comes to the freshness of the raw fish. Their dishes are extremely affordable and the staff couldn’t be any more attentive to the customers. Another big plus is that their spicy dishes actually have the perfect amount of kick in them! We ordered their jalapeno poppers as the appetizers because we’re well aware that one roll usually doesn’t satisfy our hunger. Greg ordered a spicy tuna type of roll. Although I’m not normally a California Roll fan since I much prefer real fish inside and out, I just had to order this salmon and avocado sushi because salmon is one of my all-time favorite fish. Their presentation is pretty good if you ask me, and that’s always a fun bonus to any food. Pretty food=more fun. On the other side of the plate there were lemon slices and with those squeezed on top of the rolls, my dish tasted heavenly. 2) Look at us, look at us, we’re making fools of ourselves! Thankfully no cars came our way or that would have been embarrassing. I truly commended Greg for allowing his picture to be taken, and he’s smiling too! Hehehe. 3) Did you know that the combo of marinated chickpea salad from Trader Joe’s with greens, hummus, avocado, and feta cheese tastes fantastic? Neither did I, until yesterday. 4) I made some seafood enchiladas last night and I was more than surprised by how well they turned out. I paired them up with my Best-Ever-Guacamole. Don’t you love it when recipe success happens? I’ll be sharing this enchilada recipe soon, so that you guys can join me in seafood overload as I’ve eaten fish every single day this week. I’m still trying to figure out if that’s a good thing or not. 5) I’m putting myself in real danger by showing you this picture, but I just couldn’t resist! Awww this picture of our “big boned” cat Orion and his daddy makes me melt. Oh by the way, the aforementioned enchiladas may be on the healthier side, but they must have been tasty and comforting enough to put Greg to sleep. 6) Okay everyone. Don’t blame me if you become addicted to buckwheat pancakes drizzled with blueberry coconut cream up on top. This breakfast was a huge hit (in my mind) this morning, and I roughly followed this pancake recipe from decades ago, but instead of flax seeds I just added a whole egg. For the blueberry coconut cream I just mixed Trader Joe’s highly addictive canned coconut cream with some natural blueberry preserves. It was almost like eating a super gourmet sauce melting on hot pancakes! 7) Yesterday’s workout was beyond amazing, and uhhhh my lungs were crying at one point. I just love that adrenaline rush of exercising even if I’m at the brink of pulling a Hulk on everyone around me. You know, when you start to feel like jumping all around the gym and growling from the soreness while throwing fitness balls everywhere? I don’t know. I’m just strange like that and I’m fortunate you even come back to say ‘hi’ to me. Before starting any kind of exercise, it is essential to warm up the muscles by a brisk walk, the elliptical, or some light jumping around. It’s always wise to follow your own level of fitness and work your way up. That way, you can succeed and not get discouraged! I’m a firm believer that a friendly competition with myself can be healthy if I want to become stronger and build more endurance. I repeated this type of increment until I got to speed 7.5, and then worked my way back down until I completed the duration of 30 minutes. 8) Word. I love how true this is, and it seems like the older I get, the more I find myself learning this truth every single day. I hope you have a blessed day! Carpe diem. Are you a believer of interval training and the benefits that it boasts about? Share something fun and smile-worthy about your week! It can be anything from an event to an attitude. I just got back from a 4:30 am service at Downtown Fullerton 0_o" haha. But thank da Lawwwwwd that I woke up on time and that I'm still full of energy! Especially after delicious oats at Greg's house. We had service with people from all over the area at a plaza/park downtown this morning. 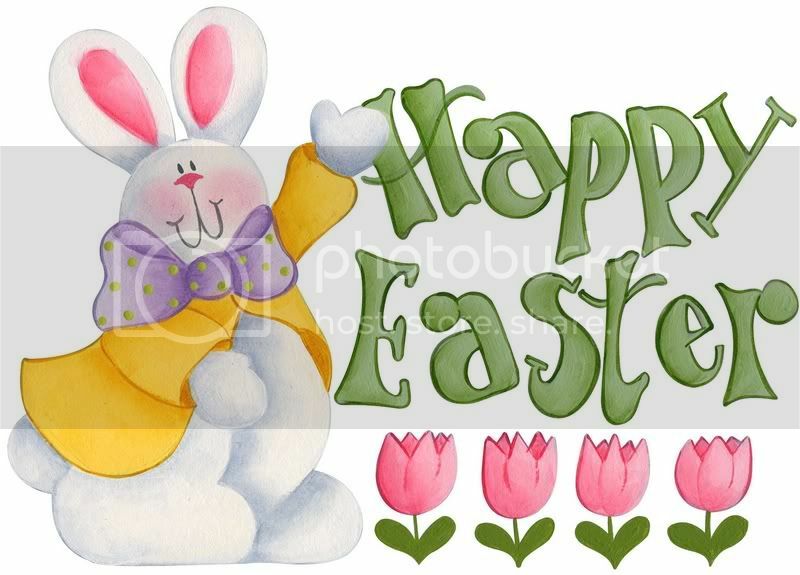 I just wanted to wish you a HAPPY HAPPY EASTER and I hope that today will be filled with many deep revelations and blessings in your life. I also would like to share one of my favorite verses with y'all and hope that you're blessed in some way--for reals, I'm not just saying it because "I'm supposed to" or anything like that. But...Jesus truly loves us so much that He's died for us and risen again! He has defeated death and our shortcomings. I know that without Him, I can do nothing. Do you usually spend/celebrate this day with your family? Hi! Thank you all for your amazing and encouraging comments on my last post! It really meant a lot to me, and I really appreciate you all so very much. I hope you know that. ;) *sniffle* Okay, enough with the sappiness and moving on to a different topic. The other day I was quite busy running around taking care of food business. My Linguistic buddies and I had a very important annual symposium and I was the "hospitality coordinator". I think I can get used to that title, I like! 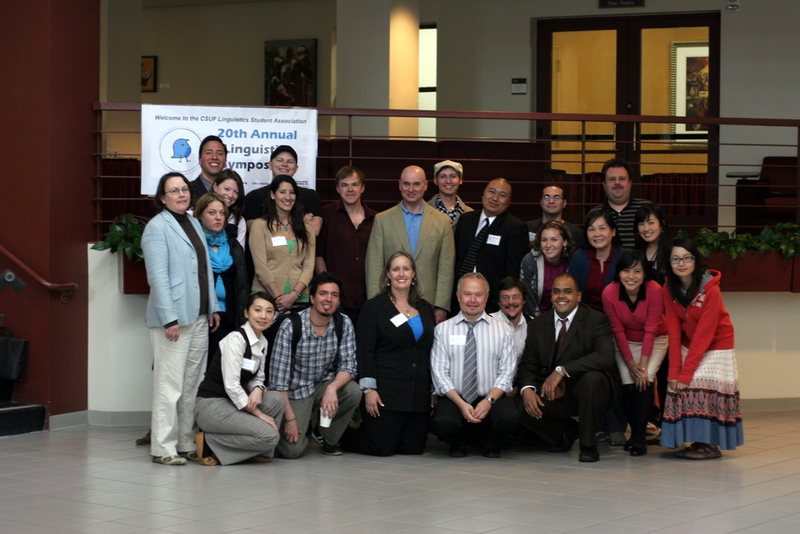 We had several guest speakers and one of them was Dr. Paul Frommer! 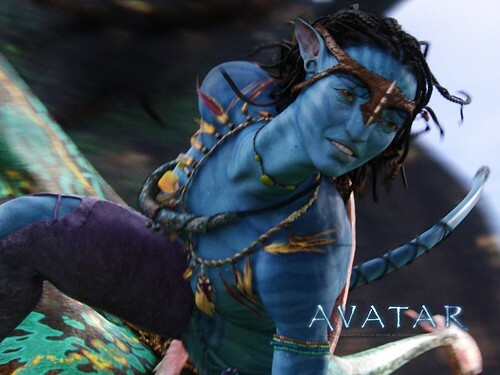 If you don't know who he is, he's the creator of the Na'vi language from Avatar. Yup, that's right! Except--I haven't watched the movie yet and now I'm excited to see it haha. I know, shame on me! I can hear some "boo's" out there. He was such a nice guy and we actually got to chat for a bit! He's the dude in the middle with errrr no hair. :P I hope you don't see this Dr. Frommer! Here's another exciting topic; I have a new-found love for pita pockets. I had some for breakfast yesterday and I must say...pita pockets taste really good when they're sweet. Who says pita has to be filled with bacon and cheese? Well, it is pretty darn good when it's savory too. Most of you know how much I rave about Once Again Nut/Seed Butters, and I topped this one with my favorite sunflower seed butter!! This company's products have really high quality ingredients and they taste like they're homemade. I dare you to try it. I also had no idea how versatile pita bread can be! If you run out of pita chips, then you can remedy that by making 'em at home. CRUNCH. This a medley of savory cheesy pita chips and sweet cinnamon crunch. Also, if you haven't been to Jenny's awesome blog about muscle-building vs. toning up, then you should!! I think she and I really think alike when it comes to fitness and staying healthy and strong. I've been really wanting to share some workouts with y'all, but I can't seem to take pictures with the DSLR because it's really difficult to take self-cam photos, so once I get the point-and-shoot back from Greg, I shall put them up. Here in a bit, I'm heading off to see the kids in Santa Ana. Lately I find myself in a hurry wherever I go, and since my body feels sluggish at the moment, I'm going to do a simple workout for 7 minutes. Again, so important to listen to our bodies as long as our other priorities are straight. So what kind of workouts can one do within 7 minutes? There are actually plenty of simple movements we can do to build muscle, while burning calories, while getting our heart rate up, and circulation going all simultaneously. You see, I truly believe that some movement is better than none at all! As much as I'd like to continue in my all or nothing ways, more and more I'm convinced that when it comes to health and fitness, every bit counts. So what if you "fail" that day? Well, you just get back up and do what you can to the best of your abilities. There's always tomorrow. Weeee there's a fun and crazy weekend ahead of me so I'll try to stay in contact! Let's live today to the fullest and HAPPY GOOD FRIDAY TO Y'ALL!!! May God's love and blessings come in unexpected ways to you today! He is so very much in love with you. Are you all-or-nothing when it comes to health and fitness? What kind of workouts do you go to when you're in a hurry? What does this weekend look like for you? Do you know what you do when you're craving both pancakes and muffins for breakfast? :D Why, you make Vanilla Bean Muff-Cakes, obviously! First, start with the buttermilk process so that it curdles while you're making the mixture. Then, grab a large bowl and mix all the dry ingredients together. In a separate small bowl, whisk the wet ingredients. Pour it into the dry ingredients and whisk away. Just don't over mix as it can beat the air out too much. Lightly spray or oil a muffin pan and pour the mixture about half way. Bake it at 375 F for 12 minutes and it is finished! :) This makes approximately 11-12 servings. And of course I had to smother it with homemade chocolate PB! And with some yogurt and banana on the side. The vanilla beans give it a subtle hint of aroma, and the buttermilk along with honey makes it unfathomably moist and perfectly chewy. Now, moving onto tomorrow~Russell is comin' to town! This time it's only him, and he's only here for Sunday. Even though we only get to see him tomorrow, I'm so excited to spend time with him. His visit is actually kind of random...haha. Today was a rather chill day for me. Although I have to admit that as the day passed by, my mind and my heart were a-racin' with weird emotions! However later, I really had the opportunity to internalize everything in my mind lately. As each day goes by, my hunger for God grows deeper. Nevertheless, I don't want to just DESIRE more of Him because He's already given all of Himself to me! I want to actually step out in faith in everything and anything that I do. Fortunately, I got to do just that today! I mean, I love my sis and her family--but I haven't gotten that completely quietness at home lately. But good news is that I did today because they were out and about for several hours. It was definitely a good breather and a time of refreshing my spirit! P.S: Let's keep Japan and Myanmar in our prayers and thoughts!